I like this slightly different version of the design better. I probably thought it would be too hard for some reason. 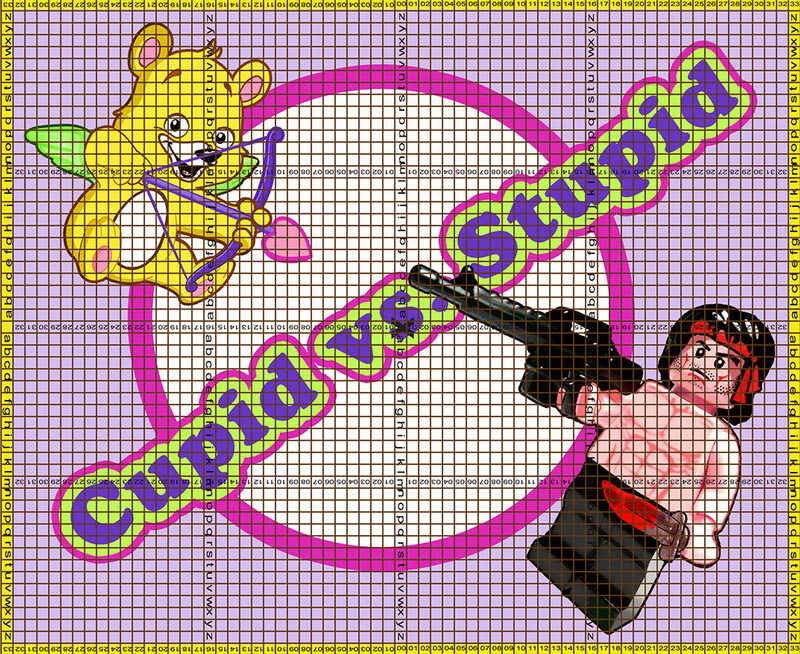 The image was a yellow bear with a heart bow and arrow shooting love at a Lego Playmobile Sylvester Stallone Rambo. 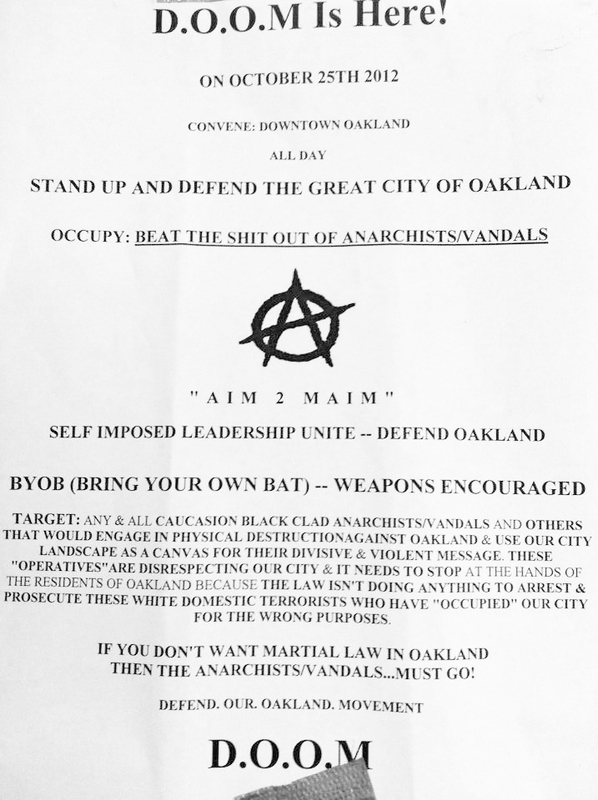 The text was “Cupid vs. Stupid.” Originally Rambo’s word ballon said “smashy smashy” which was a reference to threats back and forth between the white anarchists and an who identified themselves as D.O.O.M who had posted a paper sign on the door of a prominent to the movement downtown restaurant on the square threatening to attack vandals. 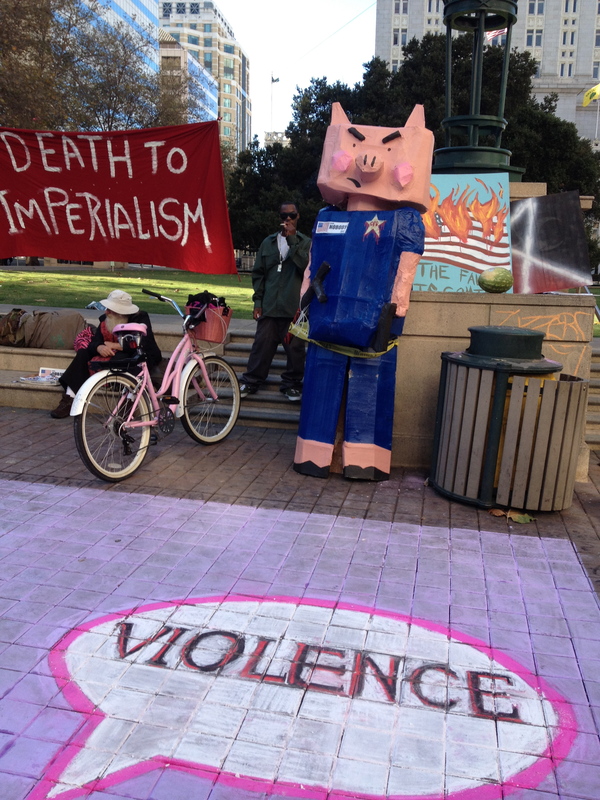 (see right) The date was the year anniversary of the violent removal of the Occupy Oakland camp by the police. It seemed to be mainly anarchists that were excited about it. 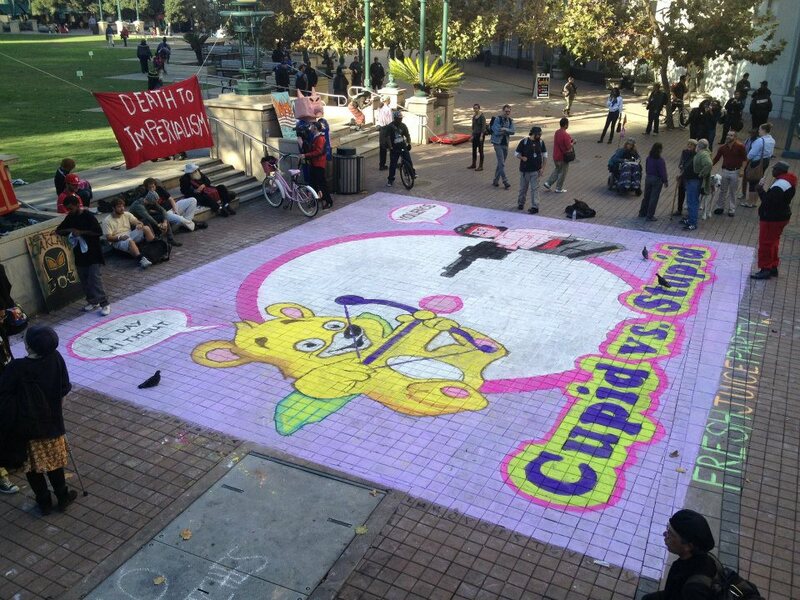 The newspapers only photographed looking up at the “death to imperialism” and the signs, and studiously avoided our art as it ruined the anarchist mob story. 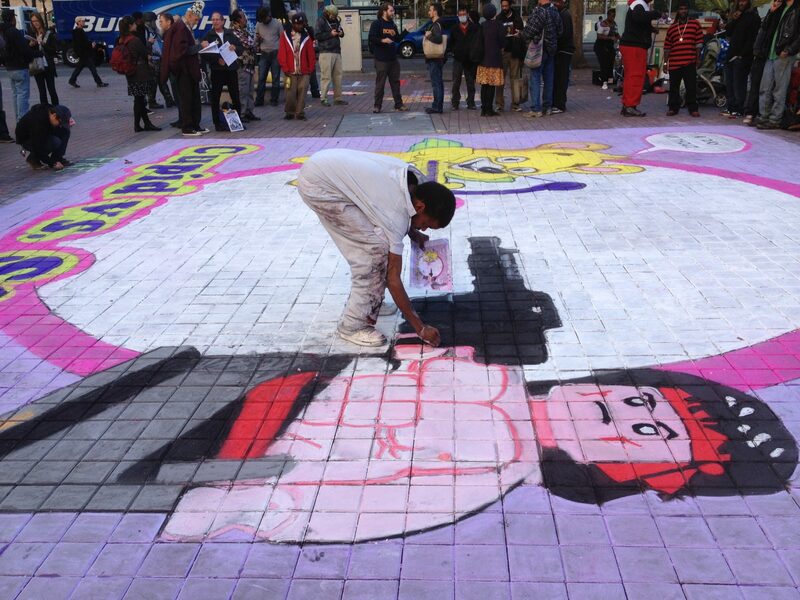 They had one picture of the city cleaning the chalk that was mostly gone so you just saw water puddles.